Why Host Your Event In… Madrid? 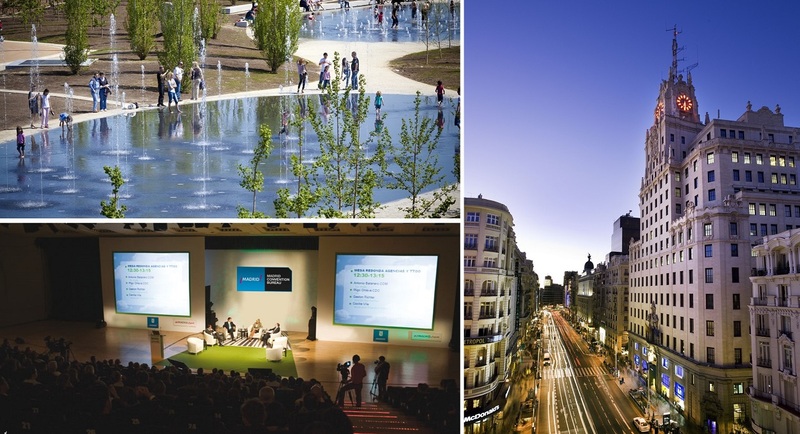 Home>All News>Why Host Your Event In… Madrid? There are many reasons to choose Madrid for your next event. Why? The simple answer is: it is a city where you can find everything. Cutting-edge facilities, devoted professionals, and a modern infrastructure allow you to comply with the most demanding requests. Furthermore, you will find a booming culture, a thriving lifestyle, warm people and blue skies. In Madrid, your event is sure to be one unique experience.
" Madrid is the best destination for those who wish to obtain excellence for any type of event. Being top five in ICCA’s Destination Ranking, the city is home to our Spanish and Latin American Headquarters.	" 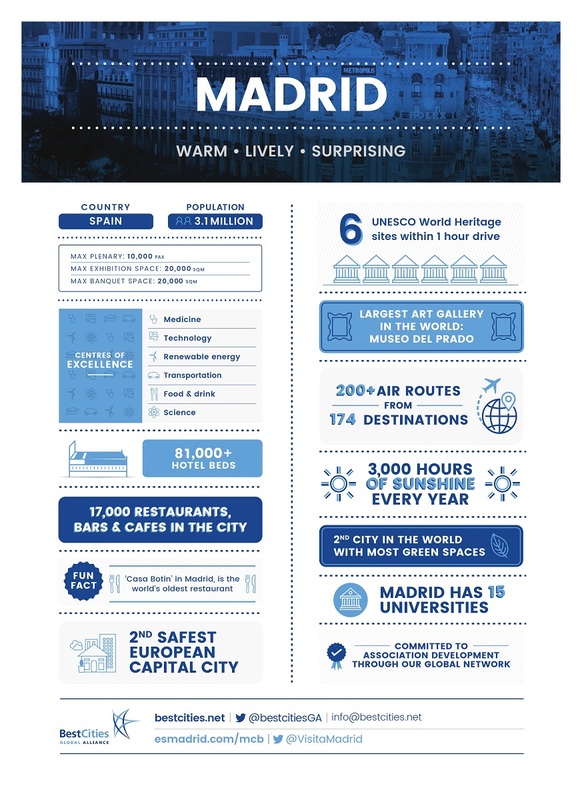 WHY SHOULD YOU HOST YOUR EVENT IN MADRID? 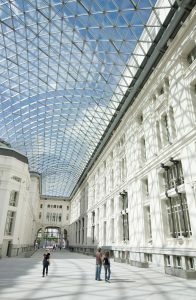 We guarantee that Madrid is one of the principal destinations for meetings and events. The city has more than 82.000 hotel beds (42.822 rooms), two conference centres, two trade fair venues perfectly connected with the rest of the city, an airport that has recently doubled its capacity, and an inexhaustible offer of culture and leisure. Are you ready to learn more? Madrid’s airport Adolfo Suárez Madrid-Barajas serves international flights from all over the world. One can get to Madrid also by train from any of the major cities in Spain, Portugal and France. Once in Madrid, the airport is connected to the historical centre by train, metro and bus. With a single ticket of five euro, one can get with the metro to Puerta del Sol in only 40 mins. Alternatively, there is an Exprés Aeropuerto (Airport Express) shuttle which runs almost continuously. You can use the express to return to the airport from pick up spots in the city. Madrid has wonderful public transportation and the second largest metro network in Europe. One can get around using the Metro, bus, bike or taxi. More information here. Madrid has one of the highest ranges of quality of hotels in the world. Over 60% of the hotels are close to convention and exhibition centres, or in the immediate vicinity of underground transport. The city boasts 42.822 hotel rooms distributed among 812 establishments, 241 of which are 5- 4- and 3-star properties. One of the strongest, most competitive and relevant aspects of Madrid’s hotel sector is its excellent value for money. Madrid has four purpose-built conference venues – two conference centres and two trade fair venues, with the capacity of its largest halls of up to 3.160 pax. With the variety of space available, Madrid is the ideal location for any event. In case you aren’t interested in a conference centre, look at the extensive offer of special venues the city offers. Madrilenian cuisine means variety. Over 3.100 restaurants delight even the most exquisite palates. Madrid is considered a melting pot of different cuisines in the world and, of course, Spanish specialities as well. Madrid is brimming with revamped markets, Tapas, and centuries-old restaurants, among the more than 18.000 restaurant establishments on offer. The 17 Michelin star restaurants add to the development of the local gastronomic tradition, balancing along establishments such as Botin, the world’s oldest restaurant. WHY DO WE RECOMMEND MADRID? Madrid is the best destination for those who wish to obtain excellence for any type of event. Being top five in ICCA’s Destination Ranking (2016), the city is home to our Spanish and Latin American Headquarters. As locals, we want to welcome you to our city, and invite you to organise your event here. Planning an event in Madrid is easy, with the impeccable infrastructure available and the high service level of all suppliers. In the past fifty years, we have assisted many local and international congresses to reach new heights. Madrid is a part of BestCities Global Alliance. The range of offerings in the city has grown considerably in 2017. New cultural centres, gastronomic markets, music venues and, above all, hotels, have turned Madrid into an even more appealing destination for international events. Several of these hotels, like the Barceló Torre de Madrid, are in landmark buildings. Others are ushering in exciting new changes, like the Hyatt Centric Gran Vía, which sees the American chain return to Madrid following a nine-year absence. In fact, many have been refurbished to suit the public’s changing tastes, like the Gran Meliá Fénix and Hotel Emperador. 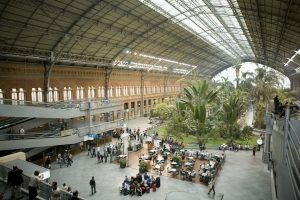 Refer your delegates to why they should visit your congress taking place in Madrid with this article.